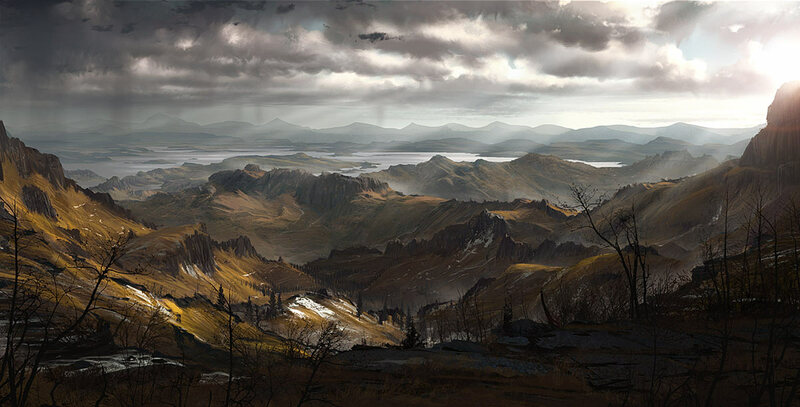 You'll arrive in the Ettenmoors at your starting base (Glân Vraig for the Free Peoples; Gramsfoot for monster players). This area is safe from attack, but once you venture outside your starting base, all bets are off! You'll find several types of NPCs - quest starters, provisioners, and skill trainers (Bards for the Free Peoples, and Corruptors for monster players) - within this starting base. There's plenty to do in the Ettenmoors, and your actions will often earn you Commendations and Infamy or Renown (see below). Take on solo quests or head out with a group of friends, looking for (and finding!) trouble. Besides the smaller-scale battles you'll find yourself fighting in while exploring the Ettenmoors, you can also engage in pitched battles for the control of various points of conflict. A dynamic map-note displays a flag - red for monster players and blue for Free Peoples - at these key locations to show which faction currently controls them. Fearsome enemies or allies may await you within contested strongholds (depending on which side currently holds them), and you would be well advised to attack one of these locations only with a large force - but be on your guard! PvMP players might be defending their location, or attacking yours while you're gone!